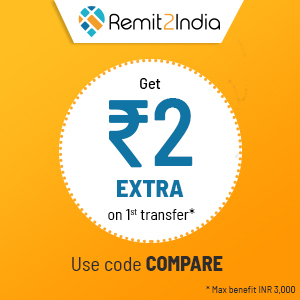 Refer your friends to Remit2India and earn Rs. 2,500 when your friend uses Remit2India for the first time. Your friend receives Rs. 500 too after their 1st transfer. 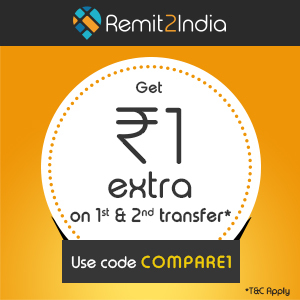 Here’s a never seen before exclusive offer, just for CompareRemit users: Get Rs. 2 extra with every dollar. 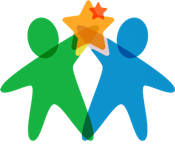 Use code COMPARE. Hurry, this is a limited period offer, so don’t miss out. 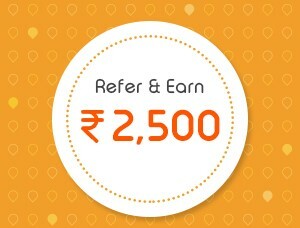 Offer valid only for new users. Maximum benefit is INR 3,000. New! Get 1 Rs. extra on both your 1st and 2nd transactions. Use code COMPARE1. Hurry, don’t miss out on this special limited period offer. Benefit capped at transfer amount of GBP 1,000.